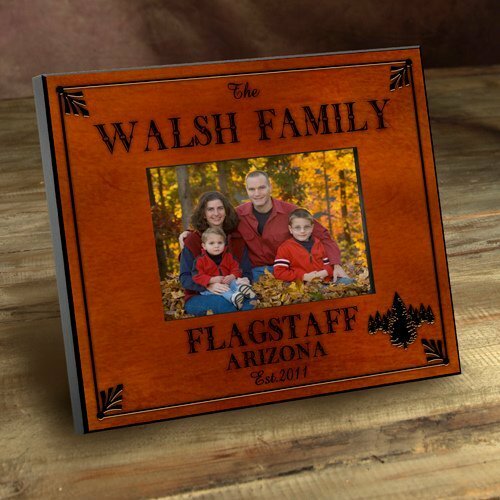 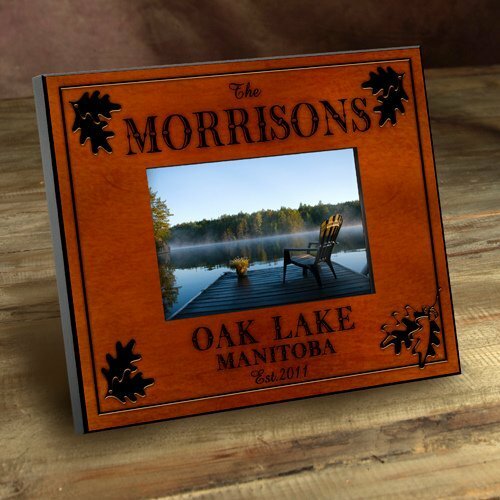 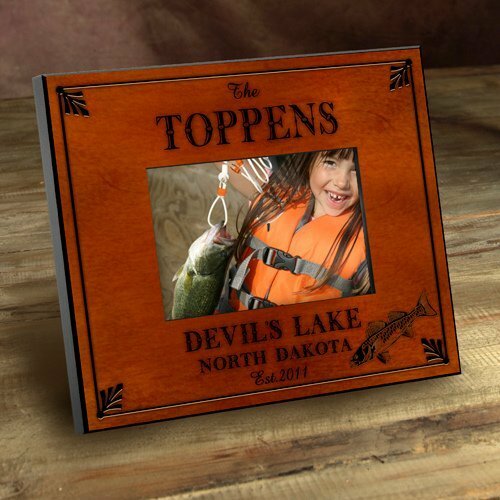 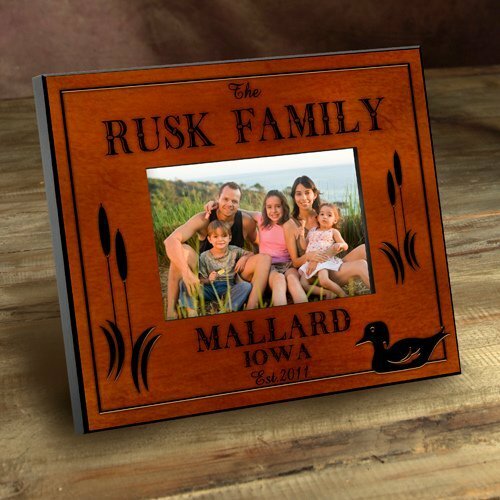 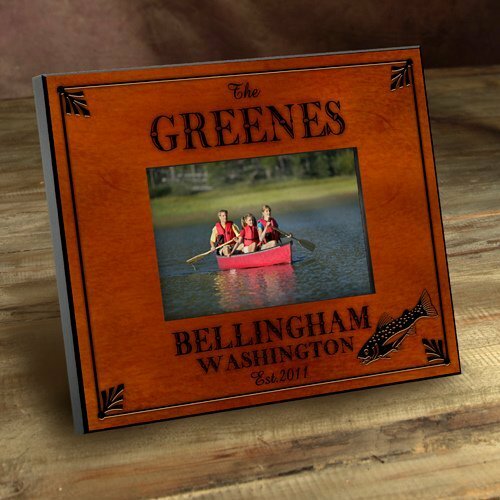 Display your favorite outdoor picture with one of our popular Cabin Series Picture Frames. 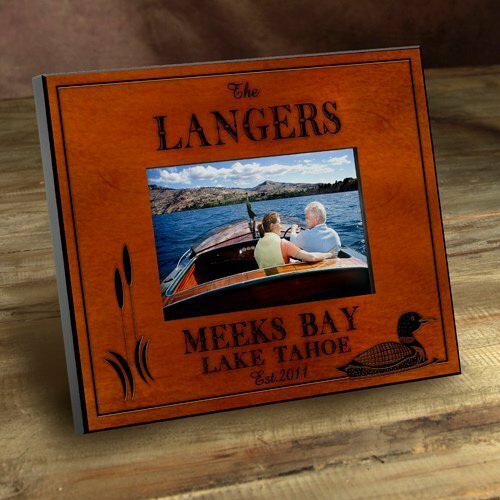 Choose one of 9 designs that best suits your family or cabin life. 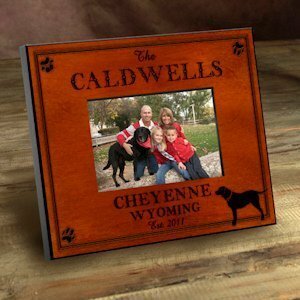 Personalize the frame with a last name, location and year. 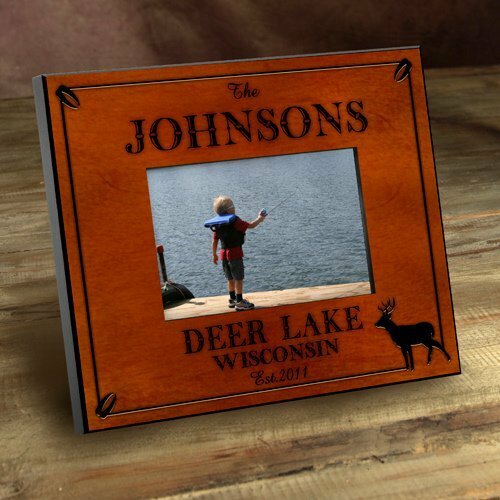 You may specify the name of the lake and the location of where the cabin can be found. Each wood-toned frame is trimmed in black. 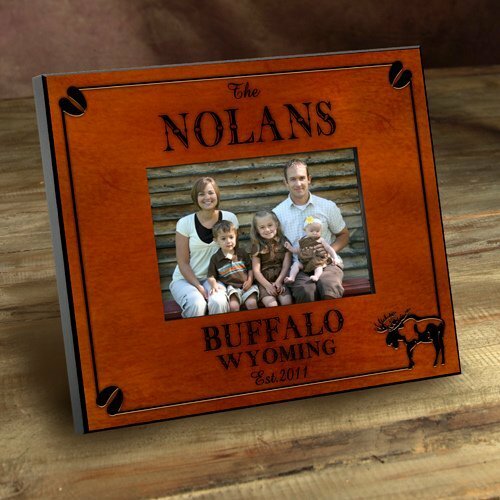 Frames measure 8" by 10" and have room for a 4" by 6" photo.